Is there an unpleasant smell in your house? Does it seem to get worse when the air conditioner is running? 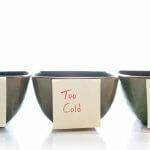 While some smells are merely unpleasant, others present serious health hazards. Learn about the various smells that may be coming from your air conditioning vents along with some possible causes. If there is excess humidity or moisture in the HVAC system, you could end up with mold and mildew flowing through the ductwork. To help prevent mildew and moisture problems, fix all water leaks, improve drainage, schedule bi-annual HVAC tune-ups, and frequently replace HVAC filters. If you have exposed earth in your crawlspace or basement, you may want to look into ways to cover the soil. The best way to protect your belongings and prevent mold and mildew from forming in your home and HVAC system is with a whole-home dehumidifier. Connected directly to your existing HVAC system, the dehumidifier automatically removes the correct amount of moisture from the air and deposits the condensate outdoors. When scheduling your spring air conditioning tune-up, make sure the company you hire includes a full cleaning. This annual inspection will clear your condensate drain line, clean evaporator coils, and detect any mold or mildew problems. Dirty evaporator coils, clogged condensate drain pans, and stagnant water can cause the smell of dirty socks or stinky feet. Usually, a professional cleaning will do the trick. If someone has smoked in the home, the odors could accumulate in the filter and evaporator coil. When you turn on the air conditioner, you may smell stale cigarette smoke. Change the filter, schedule a professional tune-up/cleaning, and only smoke outdoors (or not at all). If something smells like it’s burning, it probably is. This could be an overheating motor, a wiring issue, or some other mechanical problem. Turn the HVAC system off immediately from the breaker box. Sometimes the smell may be more similar to gun powder, which can indicate a short from the AC’s circuit board or fan motor. If the burning odor persists, evacuate the home and contact the fire department. Sometimes, melting plastic components can give off a fishy or rotten egg smell. Turn off power to the circuits from the breaker box, evacuate the home and contact the fire department. After it has been deemed safe to renter the home, schedule service with an HVAC technician to make sure there are not electrical or mechanical problems with your air conditioner. Sewer gases can back up into the home if you have dry P-traps. Try running the water in all of your sinks (about every month) to fill the P-trap and create a seal against sewage smells. If dry P-traps aren’t your problem, you may have a backed up sewer line or ruptured sewer vent pipe. Sewer gases can be dangerous. Contact a professional plumber or HVAC technician right away. If a critter has died in your HVAC or duct system, the smell will quickly become impossible to ignore. The quicker you detect the decomposition the better. First, turn off the AC system. Next, open up some doors and windows for ventilation. Call a professional HVAC or pest management company. Never ignore the smell of rotten eggs in your home. It could be the smell of leaking gas! While natural gas is naturally odorless, manufacturers are required to add a chemical called mercaptan to give it that distinctive rotten-egg gas smell. Another sign if a gas leak is a path of grass or shrubs that have changed to a sickly brown/orangish color. Learn more gas leak warning signs. Don’t operate matches or lighters. If there are any open flames, such as candles, put them out. Open as many doors and windows as you can. Turn off your gas supply at the meter. If you can’t turn the gas off to your home, the gas company to do it for you. Do not turn the gas back on. Have the gas company turn the gas back on for you. If you are having trouble diagnosing the cause of your smelly AC,don’t hesitate to Ask a Champion. 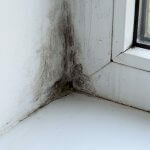 The U.S. EPA has labeled poor indoor air quality as one of the main health threats in the U.S. Dust, dirt, hair, dander, pollen, fungus, and microbes that gather in your HVAC equipment and air ducts are responsible for many health issues. Additionally, the pollutants can get inside the HVAC system and damage internal parts, leading to more frequent repairs and breakdowns. If you are trying to cover up the smell with aerosol sprays, scented candles, and the like, you are only worsening the air quality. 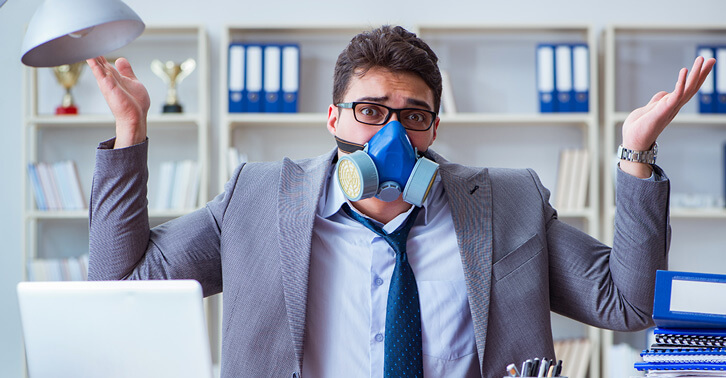 Save yourself from irritated eyes and skin, nausea, headaches, breathing difficulties, trouble sleeping, and many other health problems by scheduling a professional indoor air quality inspection. 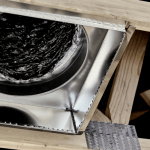 Learn more about our Indoor Air Quality Solutions.